Tomorrow, Saturday 10th of March, from 4.30 pm we are waiting for you at Centro de Innovación Social La Noria (Av. Arroyo de los Ángeles 50- Málaga) for the Open Door Event of our Training Course “Inclusion through Urban Art & Folk Music”. 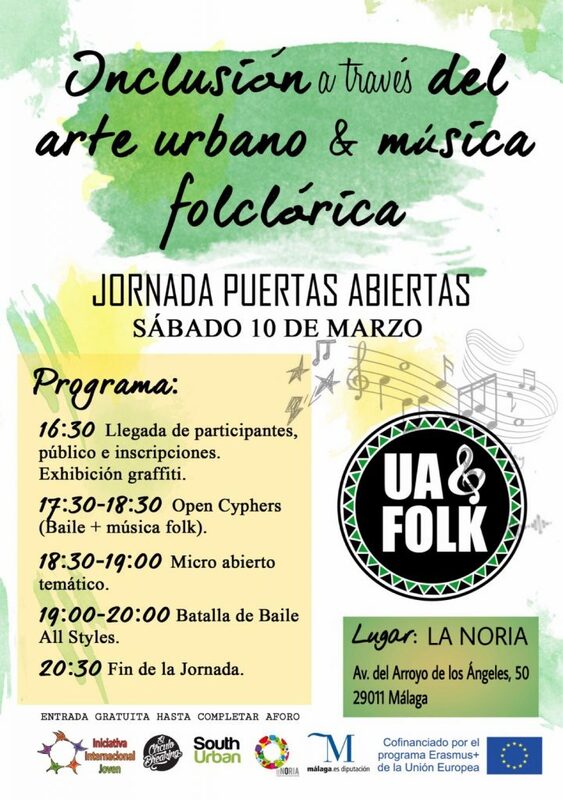 During this afternoon, our participants are going to share with local population their art, knowledge and experience, as well as, we are going to be present the project and underlying how the mix between urban art and folk music can help the inclusion of ethnic minorities and inmigrants.